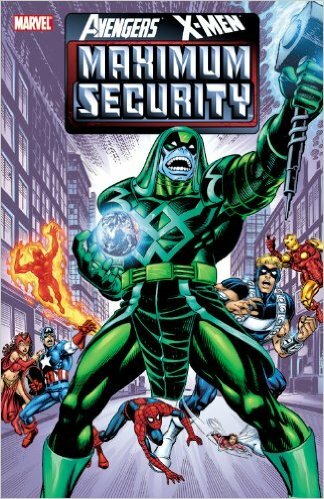 Maximum Security was a 2000-2001 Marvel crossover event, but is now packaged as an Avengers/X-Men book. 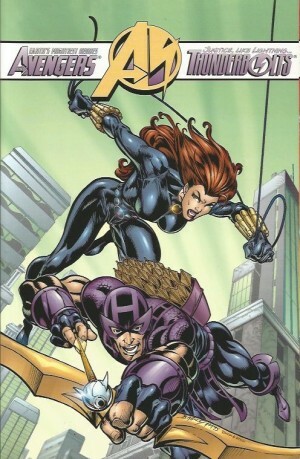 However, as what was originally the core miniseries is written by Kurt Busiek, then regular Avengers writer, and ties up plots Busiek developed in ‘Live Kree or Die’ (collected in Avengers: Supreme Justice) and in Avengers Forever, it’s not surprising that this is more of an Avengers story – indeed, there are no X-Men on the cover. The Intergalactic Council has decided to turn Earth into a prison planet, partly because of the actions of the Avengers, partly because of Charles Xavier, who has created a Skrull equivalent to the X-Men, partly because of the actions of Ego the Living Planet, and partly because of some new aliens who come bearing technological gifts, but turn out to have an ulterior motive. And a spore of Ego is sent to Earth, and starts to take over the planet. 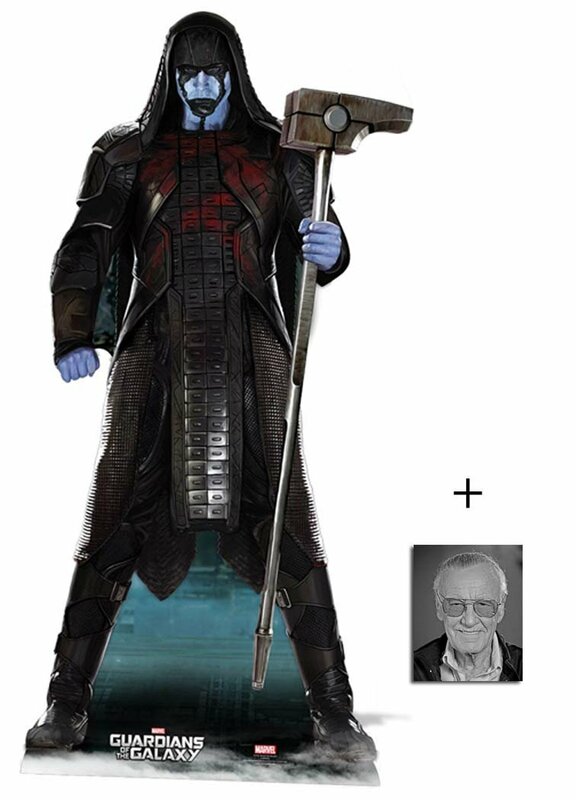 But it’s all really a plan of the Kree Supreme Intelligence. Along the way, USAgent, former fake Captain America, is recruited to a sort of US Marshals for supervillains, and is kitted out in a new uniform that is a pretty clear homage to Judge Dredd. In case no-one got the point, the Agent’s new boss is called Macgruder. If you were thinking that not a lot of this makes sense, you’re probably right. If you’re thinking that what does make sense seems pretty clichéd, you’re probably right there as well. As with most big crossovers, a lot of issues across different series were involved, so any collection can only include a selection. 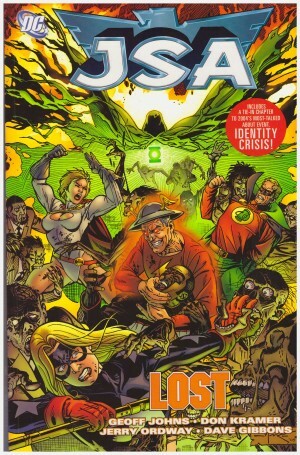 At the end of each issue of the miniseries, there is a list of where issues to follow the story – that too is selective, and oddly this collection’s content isn’t the same as the material to which original readers were directed. Since those instructions remain, we’re guided to issues of Thor, X-Men, Amazing Spider-Man and Black Panther, only to discover that, after the X-Men tale, there is no Spider-Man or Black Panther, but instead Bishop, the Last X-Man. And, of course, there are some Maximum Security crossovers that are neither in this collection nor in the list readers are directed towards. Possibly Marvel assumed readers wouldn’t notice, having lost the will to live. Most of the crossovers are, frankly, dull, and not very germane to the main plot. In many, an imprisoned alien menace simply acts as menace-of-the-week to be fought, against which events the characters pursue subplots that probably seemed important at the time. For the most part, these comics just show how variable Marvel’s output could be at this time, and how bad Chris Claremont’s writing for X-Men had become. 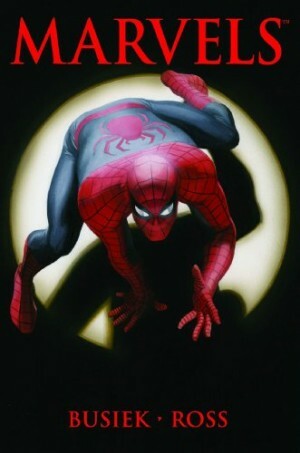 Some later issues have a greater relevancy to the main narrative, but one can work through Maximum Security perfectly well just by reading the Busiek-written installments – i.e. 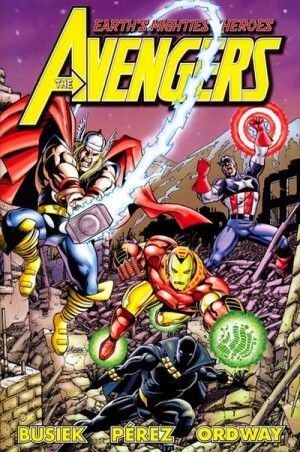 the miniseries, a prelude, and an issue of Avengers. Indeed, this is how it is presented in Avengers Assemble volume 4, and Avengers by Kurt Busiek and George Pérez Omnibus, volume 2. Don’t bother with this. Jerry Ordway’s art in the miniseries is nice clear superhero work, contrasting much of the material in the other issues, which is often unattractive. Nice art can’t save the story, which is derivative nonsense, and unsatisfactory at the end, as the Avengers essentially abandon the Galactic civilizations to the tender mercies of the Kree.